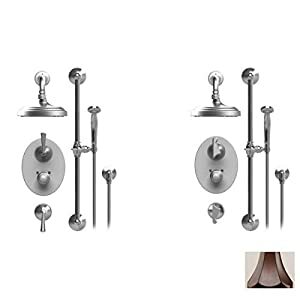 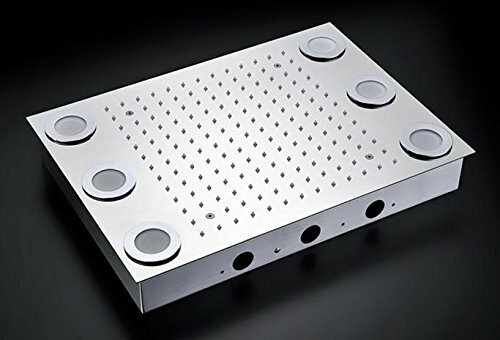 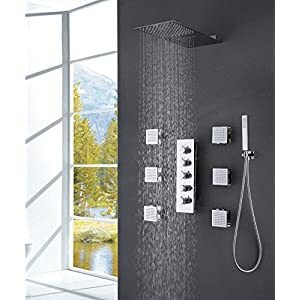 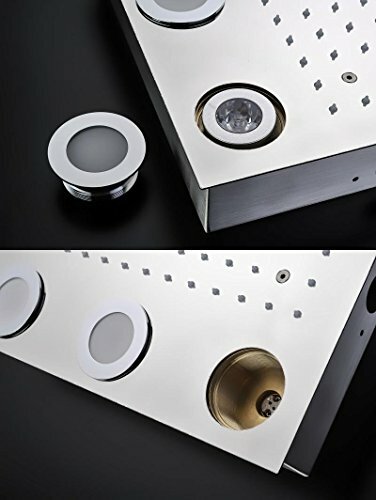 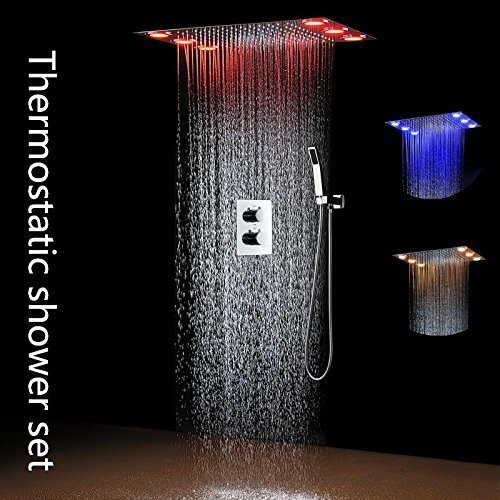 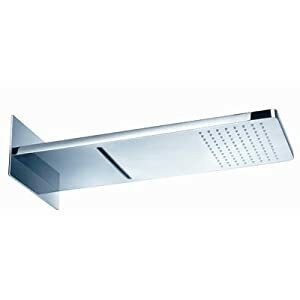 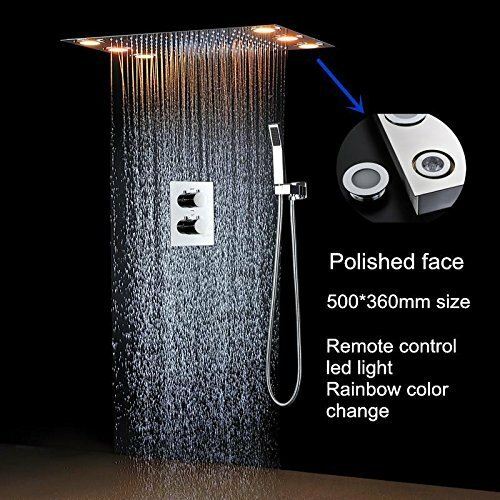 hm Luxury Polished Shower Set with rainfall bathroom rectangular 5036cm led rainfall shower head set | Steam Shower - Bathroom Showers- Infrared Sauna - from SteamShowerDealer.com | SteamShowerDealer is your #1 source to buy designer and comfortable steam showers, steam spas and Infrared Saunas and accessories at discounted prices. 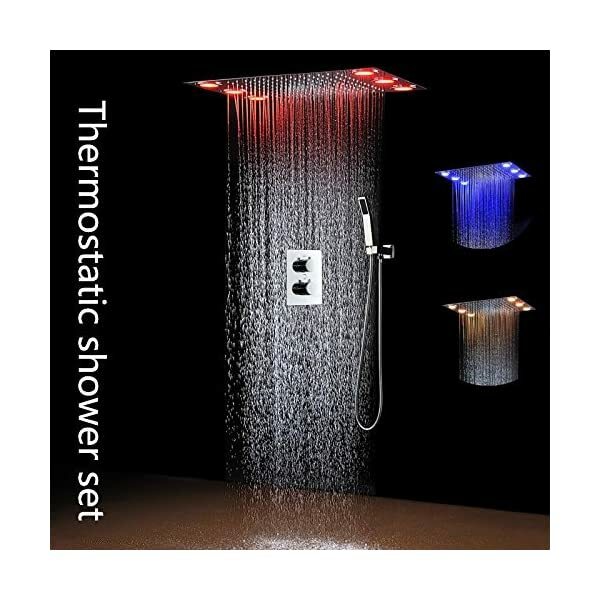 >Shower Set with 2 Functions Thermostat Mixer, to Protect You won’t been Scalded by Hot Water. 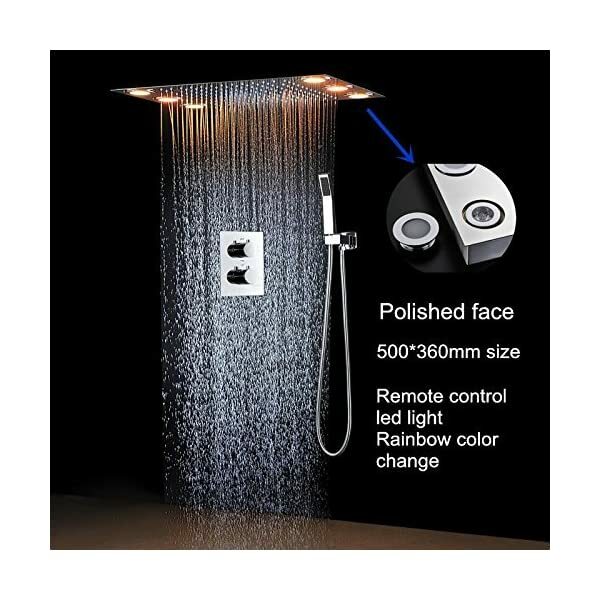 >Shower Set with 2 Purposes Thermostat Mixer, to Give protection to You will not been Scalded through Hot Water.